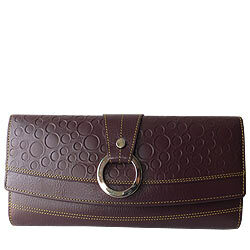 This Rich Born’s Enthralling Ladies Leather Wallet is a fitting token of your heart-felt greetings on an industrious achievement of your beloved dame and to thus boost up your link of amity with her. This On-the-Go Caddy, charted out of Leather, features a Lustrous Tan Hue, a Design of Dots and Layers carved over the Outward with a Metal Vortex affixed to the Centre and the Trait of Buttoned Enclosure. Cadbury Celebrations (Mini) Pack (2 Pcs).